Tayto potato crisps are an institution here in Ireland with their unique cheese and onion flavoured crisp, topping the flavour polls in every lunchbox, corner shop and pub in Ireland. They are certainly addictive and cause a lifetime of longing in expats worldwide that can only be satiated by the Mammy sending out a box! 10% of our potato crop goes into making these special crisps, mainly from farmers in County Meath where the new Tayto Park has been created next door to the factory where guided tours will commence in May of this year. 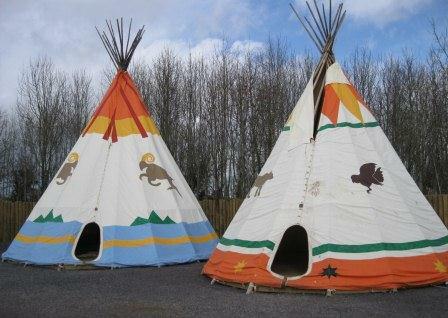 Designed as an outdoor adventure / amusement park it has a North American theme with Indian teepees, totem poles and wide open spaces that echo the vast prairies where live buffalo roam. These can be seen from the safety of a viewing platform with a talking telescope, if you don’t mind? There are tamer more domesticated breeds of exotic birds and animals in the enclosures, which are beautifully landscaped and planted throughout with lots of nice fountains and waterfalls and plenty of seats for tired Mums and Dads, who may just want to watch the kids play. There is a giant tree house that is used for birthday parties or light refreshments during the summer and from where you can yourself out into the Eagle Sky Zone which also features 10mtr climbing wall. 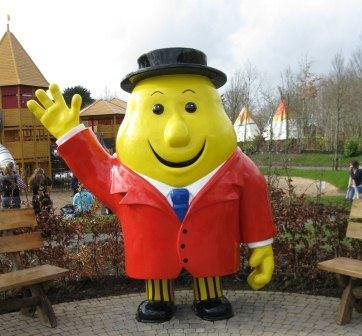 And a huge playground beside a larger than life size Mr Tayto photo opportunity point, that’s a big hit with children of all ages! The main buildings are in designer log cabin style with a large restaurant selling proper food (at very reasonable prices) and two gift shops with lots of fluffy toys and plenty of crisps of course ! Phone 01-8351999 Open daily Easter to October, weekends during the winter.